Iconic North Valley Nat Kaplan compound on the Bosque! A serene setting that includes a main house, guest house and art studio/guest house. All adobe construction with brick and exposed concrete floors, white washed walls and kiva fireplaces throughout. A courtyard connects the main house to guest house. 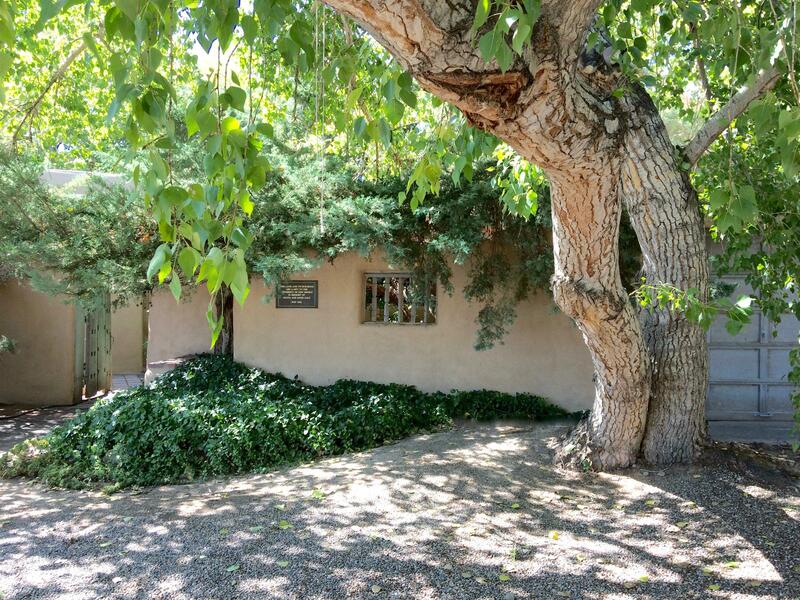 A light filled circular art studio looks out to the natural beauty of the Bosque. The studio can double as a guest house with a full bath and separate bedroom. All of this on .6 acres with access to the Bosque and water rights for irrigation. Radiant heating in the main & guest house. Newer TPO roofs, 2 new boilers and newer stucco. Courtesy of 24K Real Estate Group, INC..